Like everyone else I am not immune from making the occasional impulse buy. 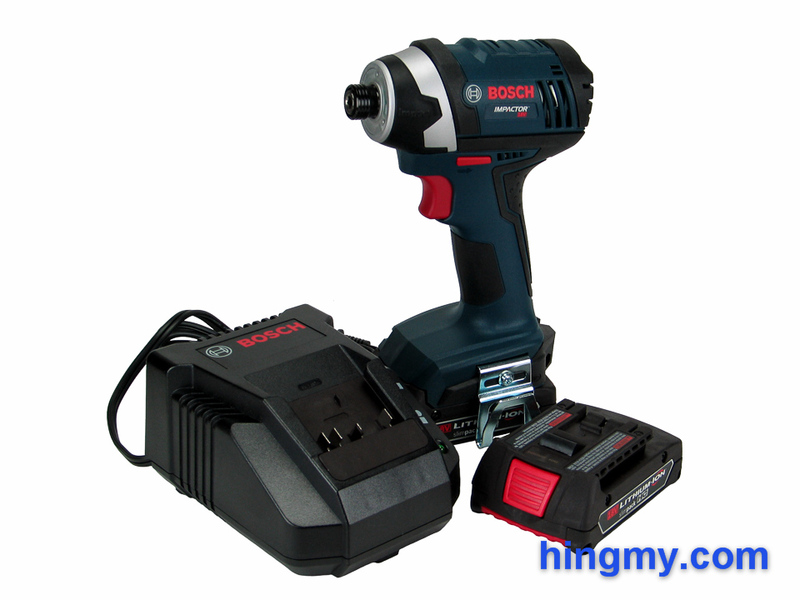 This week I will be reviewing the Bosch IDS181 cordless driver, which came in a deal I could not resist. This driver represents the value end of the spectrum in Bosch's new lineup. 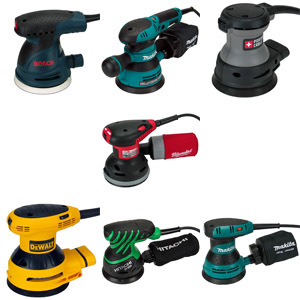 Let's take a look how a driver with motor brushes can compete against the new generation of brushless power tools. The IDS181 is a full-size driver on the compact end of the size scale. It forgoes a bit of motor power and speed in favor of a smaller stature and much better handling compared to the leaders in this category. In theory this makes the driver a better tool for 90% of the work a driver does on a construction site. 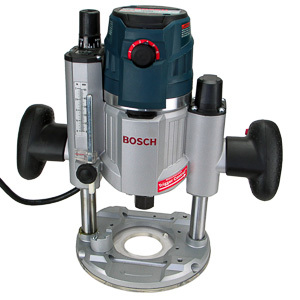 In typical Bosch tradition the fit&finish of the IDS181 is flawless. 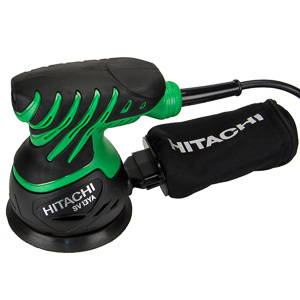 Every bit of the tool is made to survive the demands of a job site. 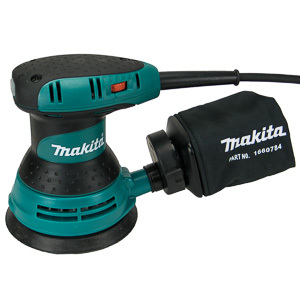 Black rubber bumpers protect the tool when it is resting on a surface. Only the nose and the front of the battery are not protected. The grip is partially covered by the same rubber that is used to create the bumpers. It is pleasant to hold, but a serious step down from a full-rubber grip. As usual the motor assembly and gearbox of the driver are made out of metal. At its peak the motor produces a respectable 96 lbs-ft of torque and 2,600 rpm. While these numbers are lower than those of the leaders in this category, they are still at the top end of the compact driver market. The motor brushes are not easily accessible. You'll have to disassemble the driver to get to them. The chuck of the IDS181 is smaller than that of most drivers, which reduces the length of the tool's barrel. Operating the chuck with gloves takes some dexterity, but it is still easy enough to do. The chuck secures bits with a satisfying click and does not let them go until the operator opens the chuck again. The metal belt hook included in the kit can be installed on both sides of the driver. It is just the right size to secure the driver on your tool belt without getting in your way when working with the driver. The IDS181 even fits into a L-Boxx with the hook attached to either side. A small hex shaped hole in the rear of the tool just above the battery is being advertised by Bosch as on-board bit storage. Neither magnetized nor small enough to secure bits through friction the feature is unusable in real life. Thankfully it is non-essential and easy to ignore. The trigger of the IDS181 is accurate, but can feel a little mushy at times. Selecting and holding a specific speed is easy to do. A large amount of dead space at the beginning and end of the trigger's range contribute to the mushy feel. If you work with the driver for a few minutes, you'll get used to the feel of the tool. 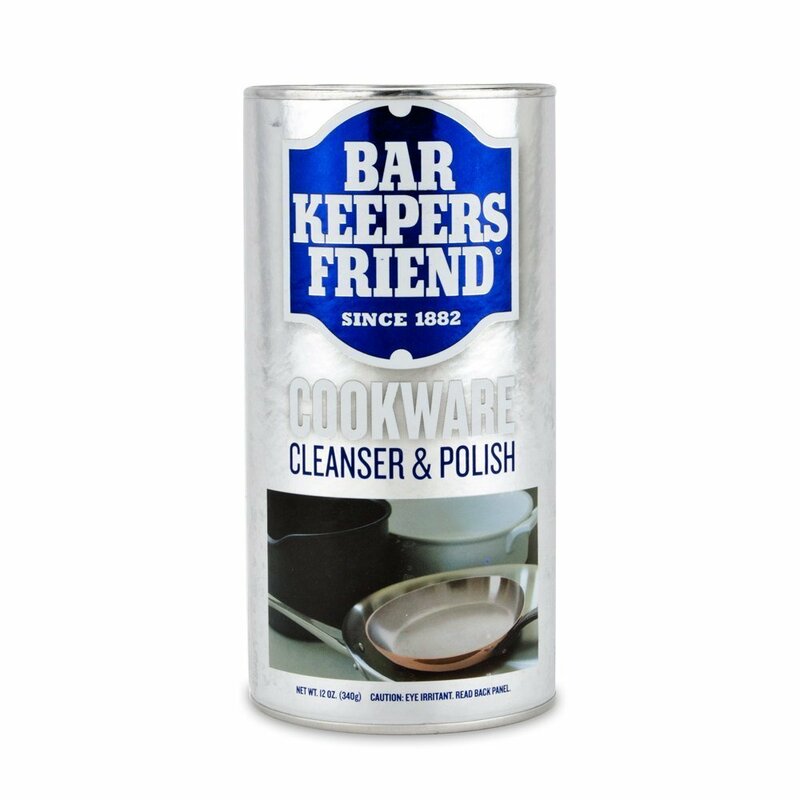 As a professional tool reviewer, however, I have to tell you that there are better designs out there. The through-the-body rotation direction selector switch is hit and miss. 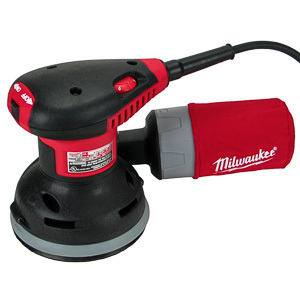 It is large and well positioned for easy operation on either side of the tool. Changing the rotation direction of the driver is never a problem, but the process feels a little off. The switch does not move smoothly as it makes its way from one side of the tool through the neutral position to the other side. Again this issues won't slow you down on the job site, but you should know what you are paying for. The IDS181 uses three LED lights clustered around the chuck in the nose of the tool to illuminate the work area. On the dimmer side of the spectrum the work light still manages to produce enough light to let you see what you are doing. The plastic lenses, however, create distortions in the light pattern that are visible even at long range. At close range the light cones of each light separate and create three white dots on the work piece. The work light of the IDS181 is directly tied to the trigger. It comes on with slight pressure on the trigger, and turns off immediately when the trigger is released. A generous dead range at the start of the trigger makes it easy to turn the light on without engaging the motor. 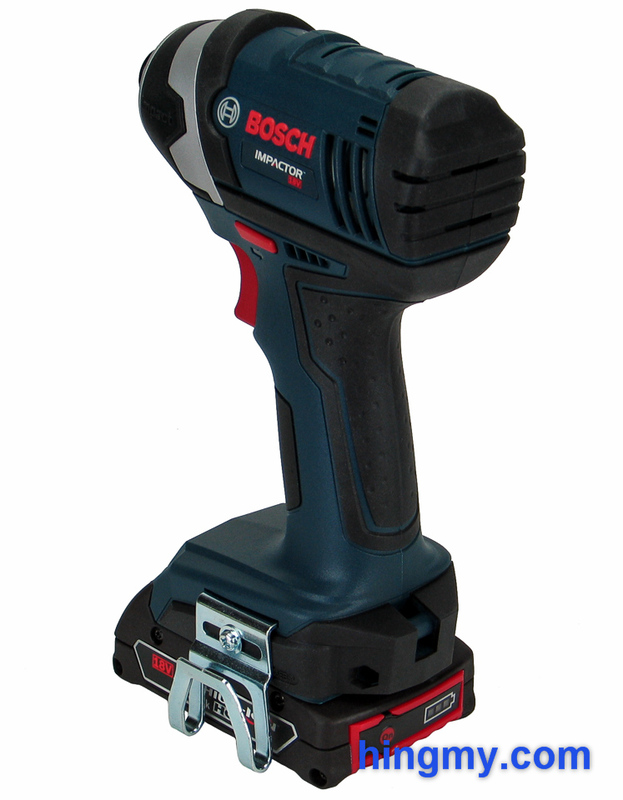 The IDS181 uses Bosch's new generation of 18V batteries. Bosch claims these batteries have a longer service life and more endurance. In practice we have found that this technology certainly produces adequate results, but any improvements it offers are incremental rather than revolutionary. The kit comes with two batteries and a charger. At 1.5 Ah each the batteries power the driver for a reasonable amount of time, but do not break any endurance records. If you like to use your driver for long periods of time, you can upgrade to the larger 3 Ah battery. Keep in mind that doing so will throw of the otherwise excellent balance of the tool. 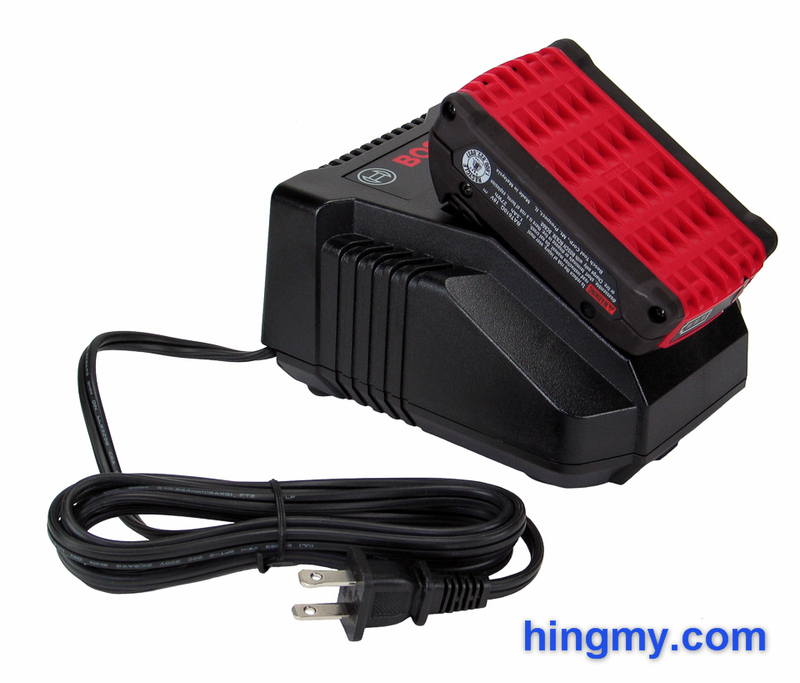 The charger returns a dead battery to a full charge in under 30 minutes. A single green LED is used to indicate what the charger is doing. Simply wait for the blinking light to turn solid and the battery is ready to go. The battery gauge of the new generation of Bosch tools is built into the battery directly instead of the tool. Out of the way and unobtrusive the gauge lights up at the press of a button. Three LED lights show the charge status of the battery in the same ambiguous way other gauges do. The best you can hope for is a vague indication of where charge level of the battery is at. Moving the gauge to the battery is a welcome change for those of us who do not particularly care about the feature. Bosch even got the follow-up design choice right. The gauge does not light up every time the trigger is pressed. Maybe in the next generation we can have a gauge that has useful information to convey. The kit comes with a cloth storage bag. With only one interior compartment the only means of securing the different pieces of the kit are a few bungie cords attached to the walls of the bag. Unlike other cloth bags Bosch storage bags are rectangular on the outside allowing them to be stacked more easily. Overall, however, the cloth bag is still a very poor way of storing any tool. If you want to upgrade to a plastic case, you can purchase an L-Boxx and the matching insert separately. You can save quite a bit of money by choosing the the CLPK234-181L kit, which includes the IDS181 driver, the DDS181 drill/driver, and an L-Boxx for each. The extra room in each box makes this kit an nice way of getting started with the L-Boxx system. In our tests the IDS181 performed pretty much exactly how its specifications predicted it would. 96 ft-lbs is plenty of torque to drive screws in just about any scenario. The 2,600 rpm motor speed is reasonably fast, but off the pace by a few hundred rpm. Combine these two numbers and you arrive at a driver that produces good results, but falls short of being a leader. It never fails to drive a screw, but it does it slower and with less ease than the leaders. Compared directly to a full-size driver the IDS181 comes out poorly. Viewed in isolation, however, the performance of the IDS181 is good. If you have under 100 screws to drive in a day, this driver will serve you well. The fraction of a second you lose driving each screw won't add up to much, and you won't have to compare the feel of operation to that of tools that cost twice as much. Contractors and carpenters will be able to make the best of the small size of the IDS181, while still having the design headroom to complete a large project every now and then. 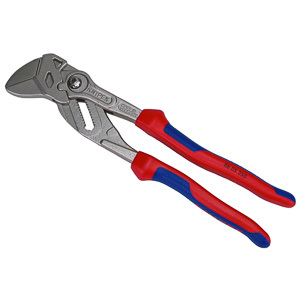 For large scale construction projects there are better tools than the IDS181. The driver can sink the couple of thousand screws it takes to install a subfloor, but you'll be fighting the tool while you doing so. After about 50 screws the gearbox and handle of the driver heat up to levels that make it clear the driver is nearing its operational limit. The tool never gets any hotter and the driver will see the finish line, but we can't help but think that it won't survive a year of being used like this. With a 1.5 Ah battery installed endurance of the IDS181 is good. 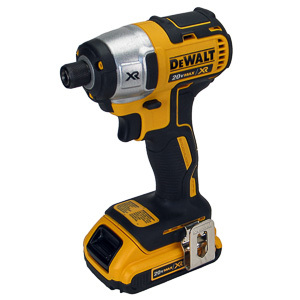 You can drive a hundred 3 inch screws before having to change the battery, which is average for this sort of tool. Overall the performance of the IDS181 is good. There are few scenarios where a larger driver is a better tool. The driver's small-size argument, however, is losing steam with the introduction of the 12V brushless drivers. These tools match the performance of the IDS181 while being smaller still. If you are looking for a driver that shares a battery with your full-size driver, or don't want to pay the price premium brushless tools demand at the moment, the IDS181 is still a very good option. 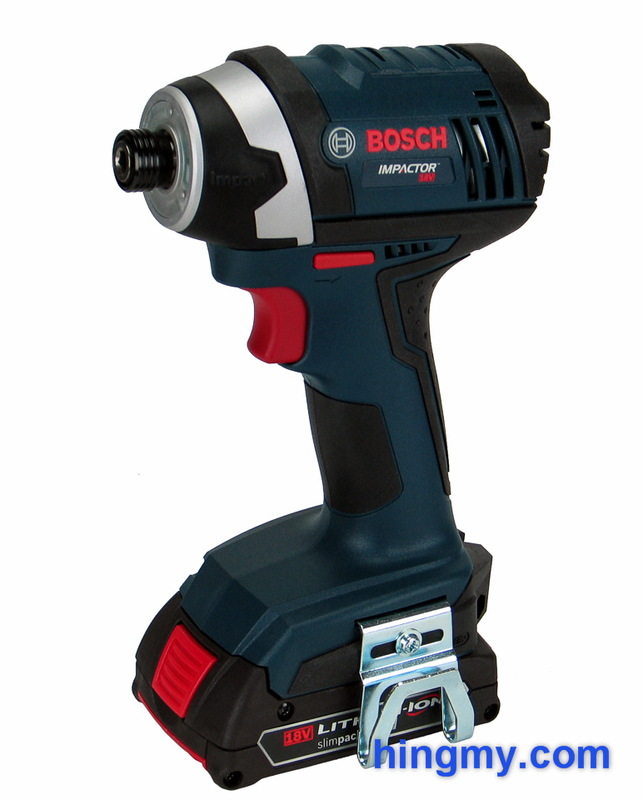 The Bosch IDS181 is a full-size driver at the small end of the size scale. Its motor powers it to a respectable, but not great place on the performance charts. Well built all around the IDS181 is best used for driving fewer than 100 fasteners a day. Any more than that and the shortcomings of the design become noticeable. The IDS181 is a good choice for contractors and trade professionals, who want a tool that shares a battery with other tools in their collection. 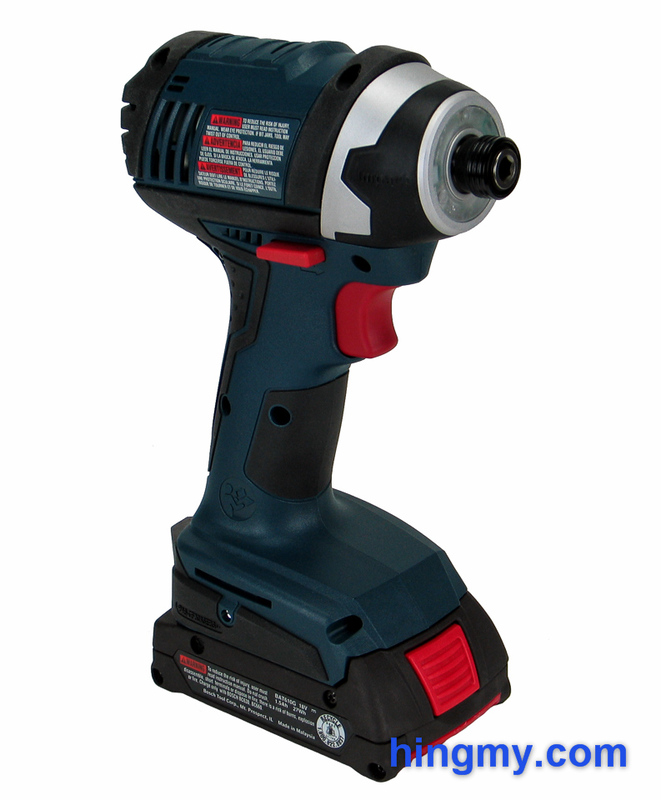 On a single tool basis the IDS181 loses out to the new generation of brushless 12V tools. Users who are simply looking for a capable driver can't go wrong with the IDS181.